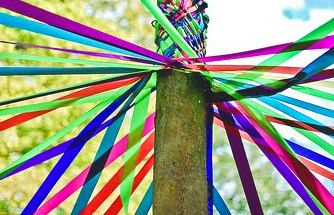 As is tradition Mayday celebrations will be held in Hornton on Monday 2nd May starting at 1:00. The Village Green will have Children’s Rides, Toys, Games, Cakes, Pub and Bar-B-Q, “The Famous Human Fruit Machine”, Ladies and Gents Excellent Pre-Loved Clothes, Skittles, Tombola, Plants, the Amazing White Elephant Stall and other animals. As well as Tea and Cakes being served in The Chapel. Then 2:00 The May Queen with her King and attendants will progress through the village to be crowned opposite the School, followed by Traditional Maypole Dancing. As Car Parking in the village will be difficult, it is best to approach Hornton from Wroxton down into Bell Street where ample free parking in the signposted Football Pavilion Car Park will be available. This entry was posted in Posts by Horley Views and tagged Hornton, Mayday Celebrations on April 24, 2016 by thehorleyviews.